What an eventful night it was at the 2019 ACM Awards! Between powerful performances and tear-jerking speeches, it was one of the best nights of the year. 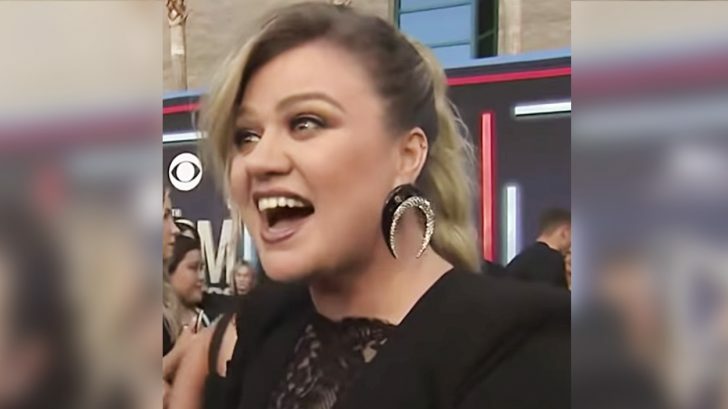 But aside from the fun and excitement, some stars had some rather interesting experiences go down – one of those stars being Kelly Clarkson. Kelly Clarkson rolled up to the ACM Awards looking gorgeous as ever. In a stunning black gown with a deep lace neckline and sleeves, this powerhouse was ready to take over the night. Clarkson had a big evening ahead as she performed not once but two times alongside other talented artists. Although her insane vocals took the crowd by storm, there was one ACM Award attendee that didn’t catch on. Clarkson took to Twitter to tell fans about her awkward encounter while enjoying her star-studded night. Oh yes, we know – we’re shocked too. Imagine that, Grammy award-winning artists: they’re just like us…apparently. Don’t worry Clarkson handled it in the most mature fashion. Leave it up to Clarkson to react in the best possible way – gotta love her! Check out Kelly Clarkson & Dan + Shay’s performance of “Keeping Score” below.